3D print with the Wanhao Duplicator D7 Plus in a stunning resolution fine structures and detail. HD 3D printing is now affordable for everyone. This high-resolution precision machine has a large building space compared with other DLP 3D printers. For its manufacturing quality it has unbelievable low costs. The Wanhao Duplicator 7 DLP Plus 3D printer uses 3D printing technology of photopolymerization. Use this machine to realize small to medium-sized 3D prints in highresolution. DLP stands for Digital Light Processing. This technology works with UV light to cure the liquid material (resin). The Wanhao Duplicator 7 DLP Plus uses exactly this technology to build up objects layer by layer from liquid resin. Unlike its predecessor, you can control the D7 Plus intuitively via the integrated touch panel. Your prepared and sliced CAD data can be easily transferred via SD card or USB port to your 3D printer. This small power package is equipped with a LCD display. Its resolution is 2560 x 1440 pixels. The display filters and selects UV light and enables an extremely high 3D print resolution. Despite its extremely low price you can achieve very good 3D printing results with this device. Otherwise, this 3D printer has the same features as the D7 1.5. 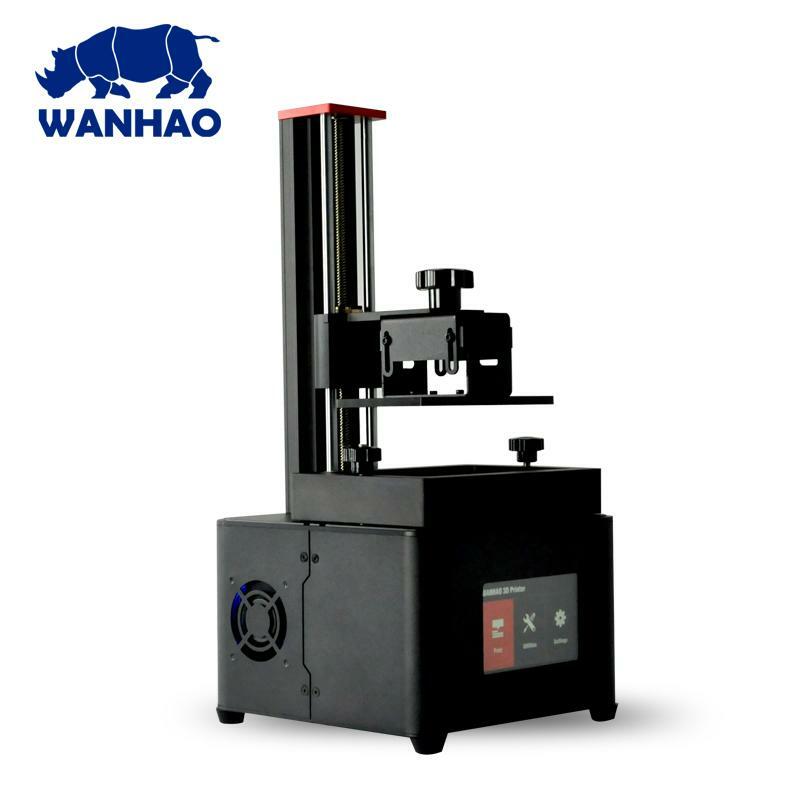 If you buy the Wanhao Duplicator D7 Plus you get a low-cost and high-resolution DLP 3D printer. For every shipping method we offer, we package your items securely to ensure that they arrive in perfect condition.